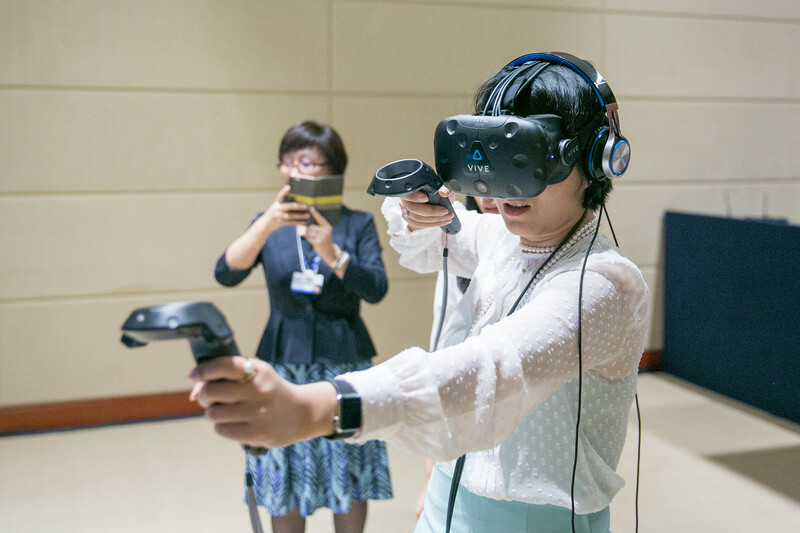 Chinese Premier Li Keqiang, Brexit debates, an NBA star, a host of robots, virtual reality and much more. 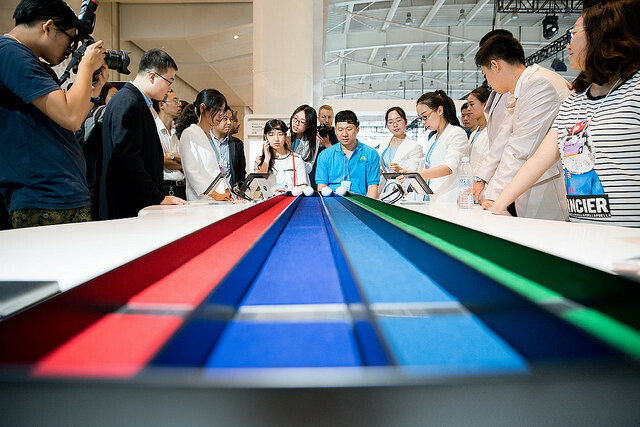 Here's a round-up of some of the best images from the Annual Meeting of the New Champions 2016 in Tianjin, China. 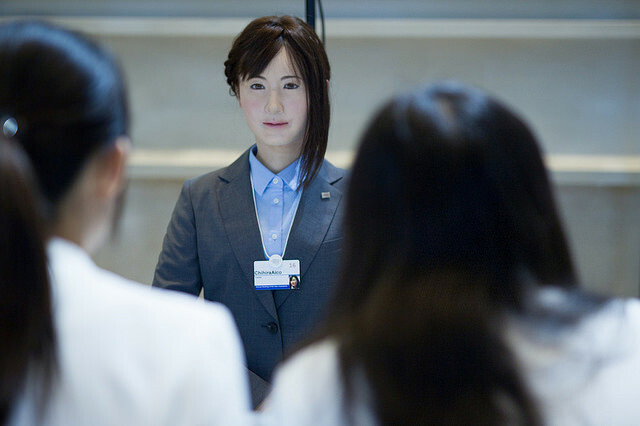 Well-dressed and well-spoken: this robot can have conversations and answer questions. Spotlight on Virtual Reality: Robot Repair. 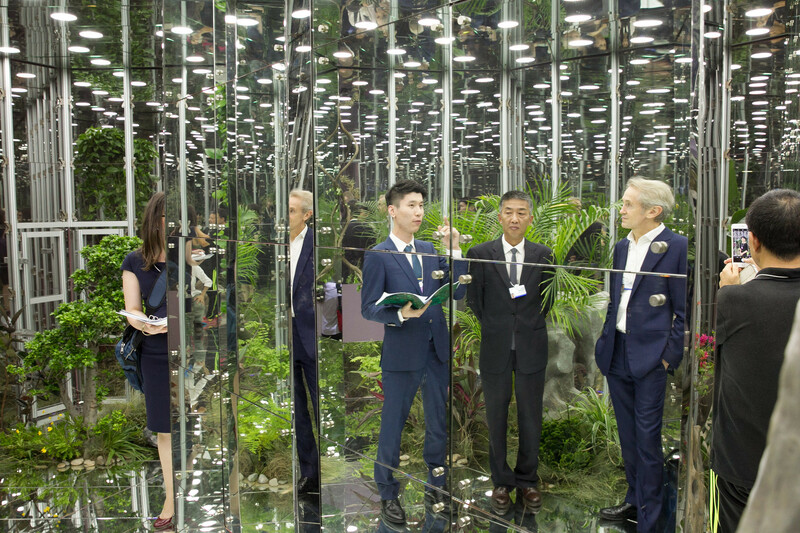 Guoyuan Deng, President, Tianjin Academy of Fine Art steps into Noah's Garden. 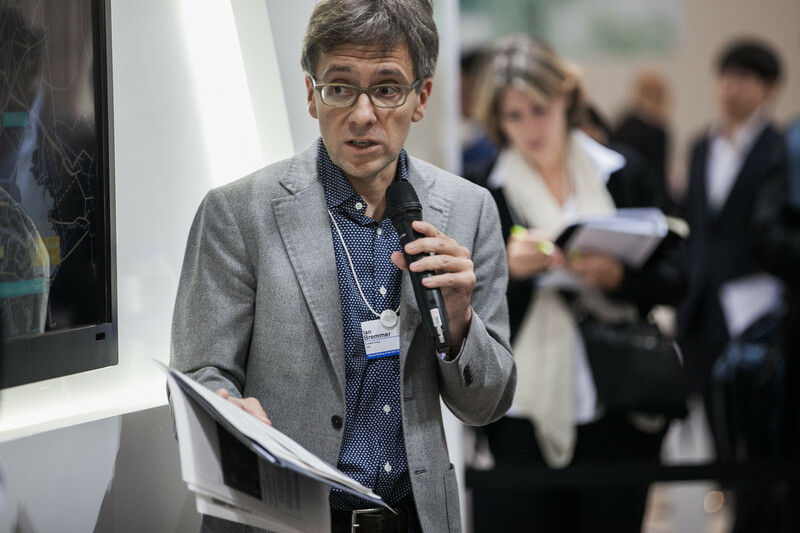 Navigating the Future: The Connectography of Eurasia, presented by Ian Bremmer, President, Eurasia Group, USA, Young Global Leader Alumnus and member of the Global Agenda Council on Geo-economics. Visionary Art: Interactive Architecture with Leila Araghian, Co-Founder, Diba Tensile Architecture, Islamic Republic of Iran Founder, Diba Tensile Architecture, Islamic Republic of Iran. "What If: We Become Superhuman?" 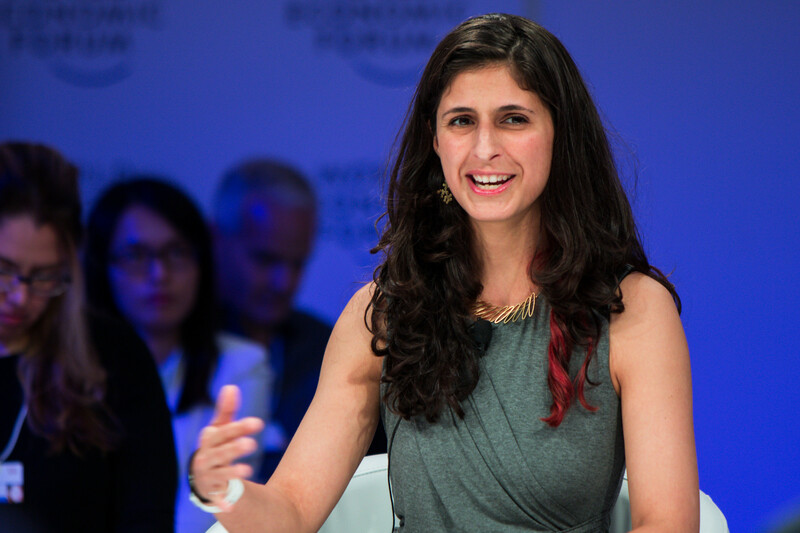 With Nina Tandon, President and Chief Executive Officer, EpiBone, USA, and a World Economic Forum Young Global Leader. Catching Up or Falling Behind? 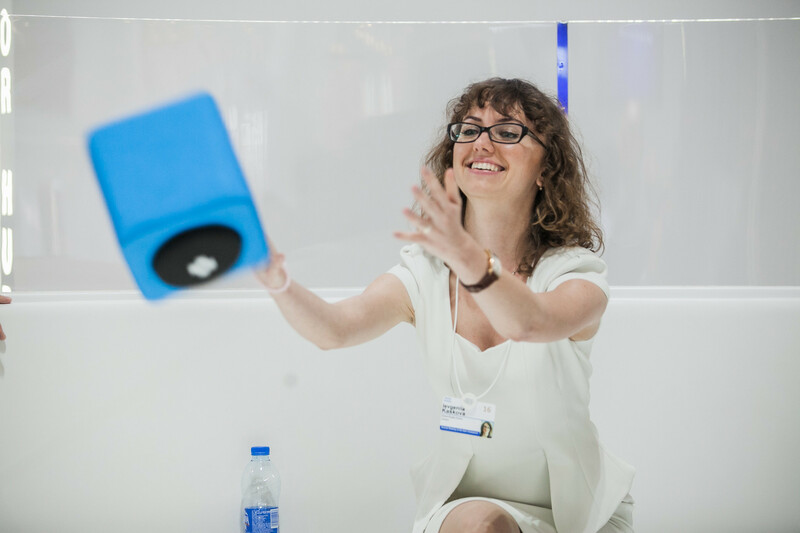 Ievgeniia Kaskova, Director and Co-Founder, Global English Centre, Ukraine & Global Shaper at the World Economic Forum. 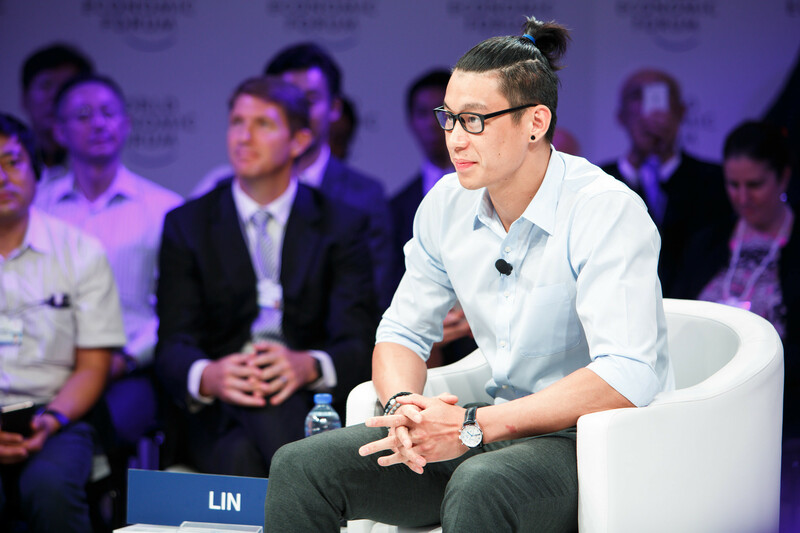 A Conversation with NBA player Jeremy Lin. 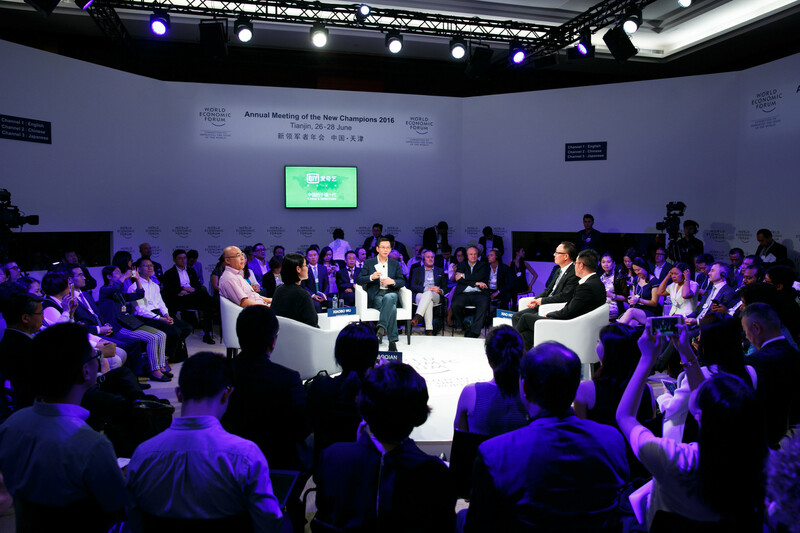 A wide shot of the session, China's Millennials. 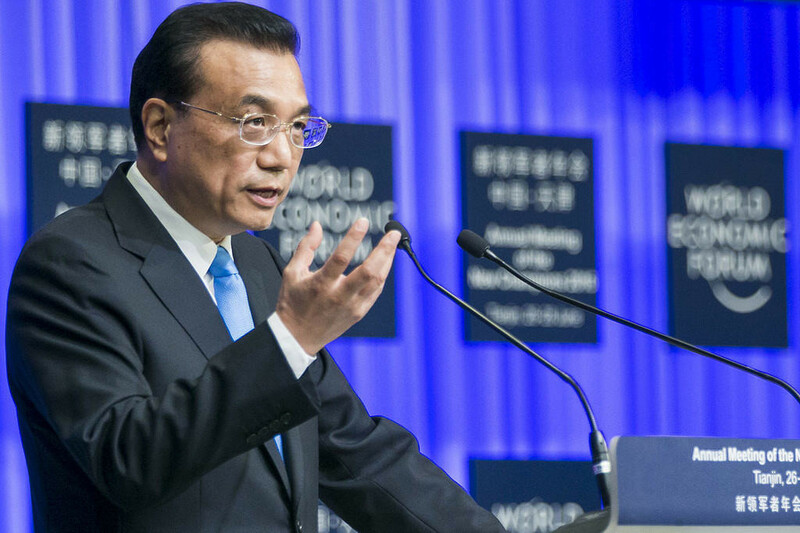 Opening Plenary with Chinese Premier Li Keqiang. 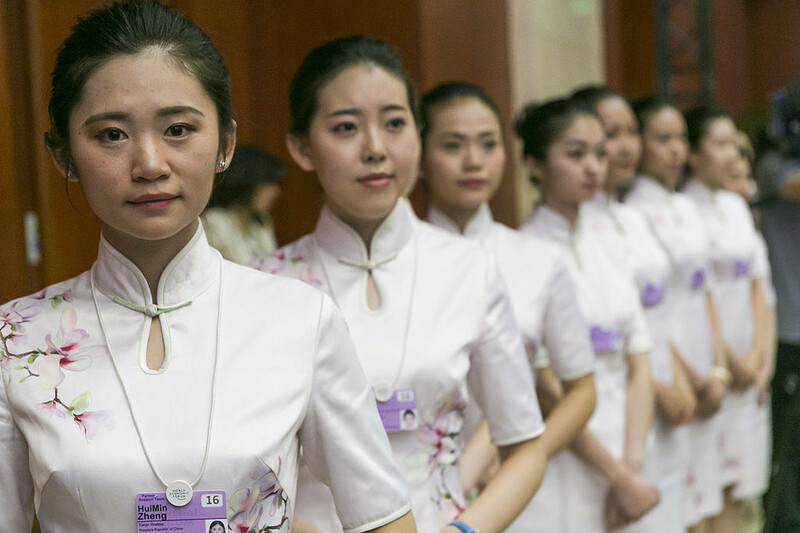 Hostesses at the Annual Meeting of the New Champions prepare to welcome participants to the Opening Plenary with Premier Li Keqiang. 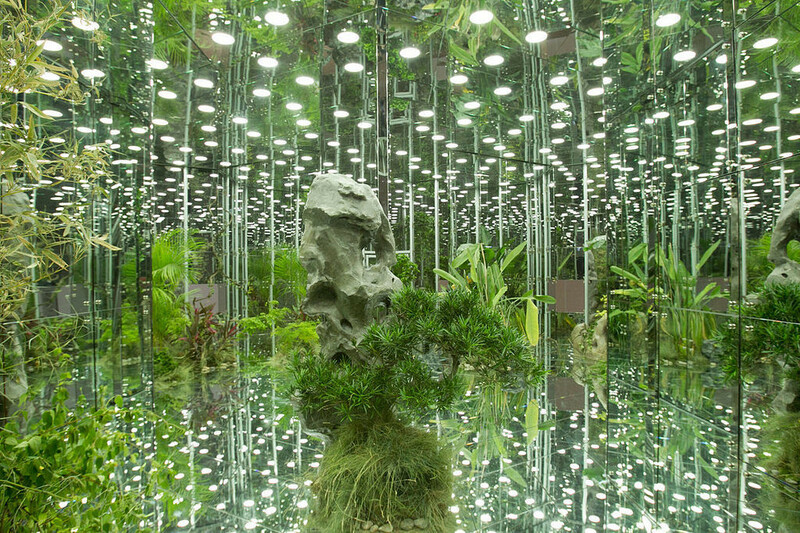 A garden installation inside the conference centre. 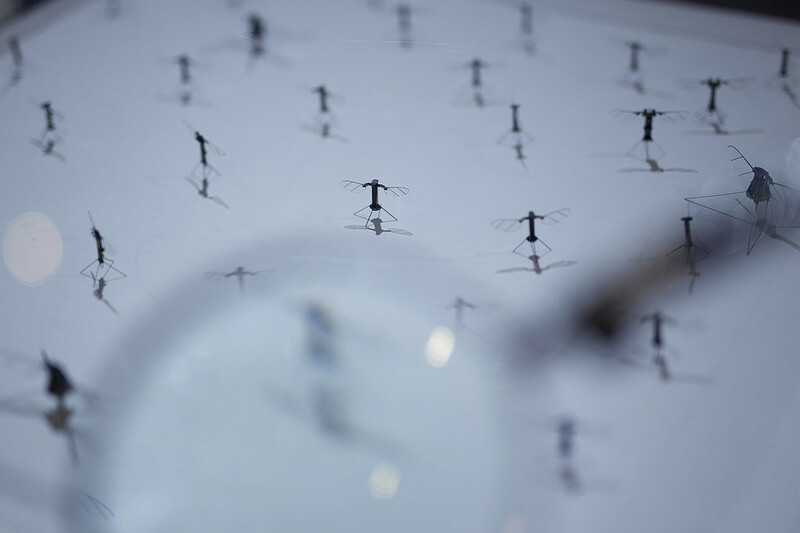 Robobees that could one day help pollinate crops. 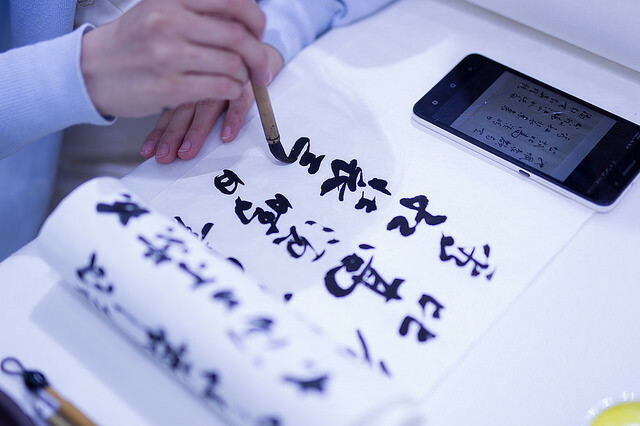 Lessons on calligraphy at AMNC16. 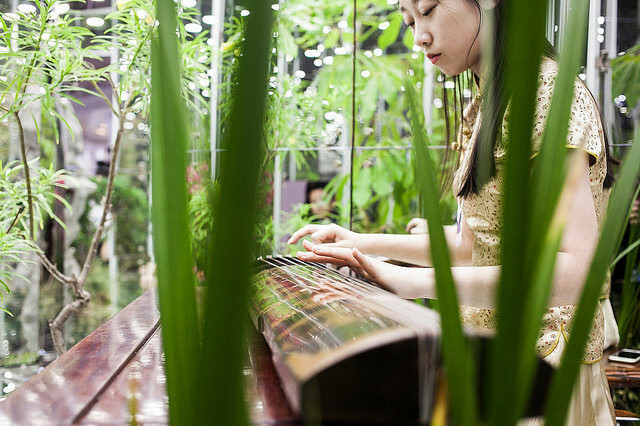 A musician plays a traditional instrument at the conference centre in Tianjin. 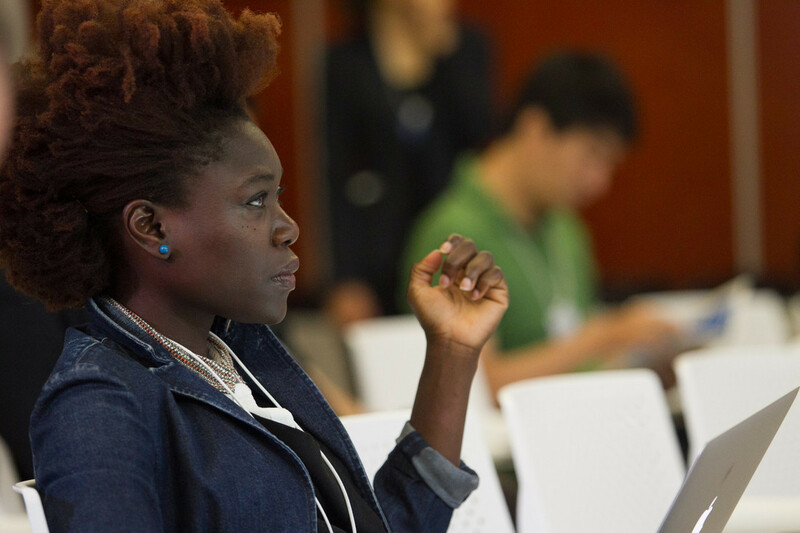 Mastering Complex Ecosystems in The McGill University IdeasLab. Participants discover mind control at one of the robotics displays. 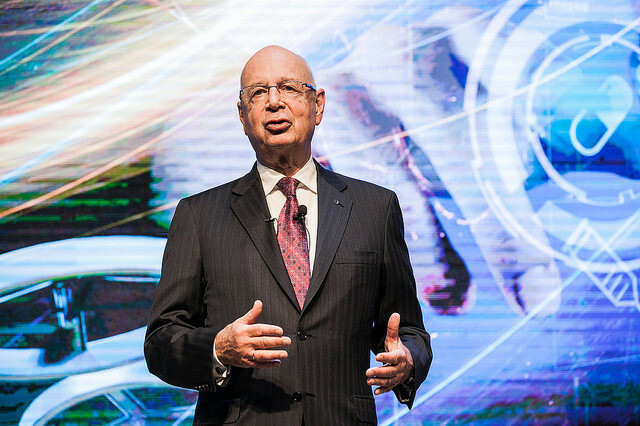 Klaus Schwab, Founder and Executive Chairman World Economic Forum at the Annual Meeting of the New Champions 2016.